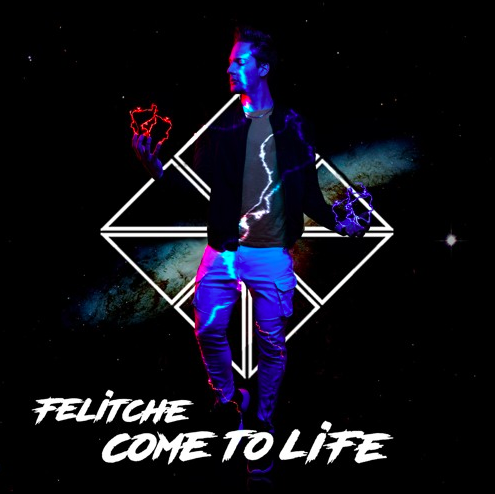 Felitche is a Toronto based artist falling within the EDM and pop realm. He is not only a singer but a DJ and producer as well. All these elements combine to create an interesting and compelling sound. His musical aesthetic can be compared to a mixture of Drake, DJ Kahled, DJ Drama, Tyga, Alesso, Martin Sloveig, and Galantis. Come To Life was released in October of this year. It is a beautiful homage to enjoying life – especially when it’s trying to knock you down. What’s striking about this track is Felitche’s uncanny ability to turn an often painful and hard to endure moment [like barely making ends meet] into a moment of magic. This beautiful exploration of the human condition is a scenario many have at least experienced once in their life if not more. He reminds us that nothing should keep us from celebrating life, not even when it tries it’s best to push us down. The beginning lines linger on the heart, “Most of my days I feel dead, over and over again … Breaking my neck, cashing the checks, but I ain’t got commas to spend … trying to stay out of my head … Cashing these dreams, not what it seems, do what I can to feel blessed.” The juxtaposition of vulnerable and honest lyrics with a dance EDM beat is quite special. Felitche has the gift of writing both compelling lyrics and great melodies. He belongs in the Top 40 charts. I look forward to hearing more from this special artist. Follow him on Facebook. Listen to him on SoundCloud and Spotify.